We write on behalf of the Committee on Academic Freedom of the Middle East Studies Association (MESA) to express our alarm regarding reports that Dr. Ahmadreza Djalali, a scholar of disaster medicine, imprisoned since April 2016, was sentenced to death after being forced to sign a confession relating to crimes against the national security of Iran. We call on the Iranian judiciary with utmost urgency to overturn the conviction, thus leading to his release and safe return to his family in Sweden. Dr. Djalali, an Iranian-born permanent resident of Sweden who teaches in the European Masters Program in Disaster Medicine (EMDM) convened by the Università degli Studi del Piemonte Orientale and the Vrije Universiteit Brussel, was arrested by security forces of Iran’s Ministry of Intelligence in April 2016 while visiting Iran to participate in a series of academic activities and visit extended family. He had travelled to Iran previously on numerous occasions, without ever encountering complications with state security or immigration officers. Following his arrest, Dr. Djalali was held in Evin Prison for seven months (three in solitary confinement) until December 2016, when he was temporarily transferred to a public ward. During this entire time he was denied access to a lawyer, his only contact with the outside world being a two-minute call to his family every two weeks. Warned to keep the arrest private for “the sake of the detainee’s health,” the family did not publicize the unlawful detention until early February 2017, when Dr. Djalali informed his sister that he had been forced to sign a false confession stating that he had collaborated with enemy states. Following a trial led by Abolqasem Salavati, a judge in Tehran's revolutionary court, Dr. Djalali was sentenced to death on 21 October 2017 on a charge of “corruption on earth” (ifsad fil-arz), and assessed a 200,000-euro fine. The court verdict, which was shown to one of his assigned lawyers, claims that Dr. Djalali worked with the Israeli government, which subsequently, so it is alleged, helped him obtain his residency permit in Sweden. Dr. Djalali has 20 days to appeal the sentence. Contacts of Dr. Djalali have circulated a document that claims to be a literal transcription of a handwritten text produced by Dr. Djalali inside Evin Prison. The document states that Dr. Djalali believes he was arrested for refusing to work for the Iranian intelligence service. According to the document, in 2014 two representatives of the Iranian military and intelligence service asked Dr. Djalali to spy on European countries for Iran — in particular, to report on “critical infrastructures, counter-terrorism and CBRNE [chemical, biological, radiological, nuclear and explosives] capabilities, sensitive operational plans, and also research projects, relevant to terrorism and crisis.” The document says he refused. The document claims that Dr. Djalali was forced to make false confessions following “multiple psychological and physical tortures.” “I have never acted against my country, I have never spied for Israel or any other country. My only fault is that I did not accept to use the trust of my colleagues and universities in EU to spy for Iran's intelligence services,” the text states. During his long imprisonment, Dr. Djalali has been held intermittently in solitary confinement, denied a lawyer of his choosing, and allegedly been subjected to psychological torture, including threats to execute him and arrest his children. He has undertaken several hunger strikes in protest against the unsubstantiated allegations against him. Dr. Djalali’s unlawful arrest, his prolonged detention in solitary confinement, the pressure exerted on him to sign a false confession, and his subsequent conviction and sentencing represent an egregious infringement on academic freedom and the pursuit of knowledge. Dr. Djalali’s story echoes those of other Iranian scientists, specifically Omid Kokabee, a physicist released from a Tehran jail in August 2016 after five years' imprisonment, for whom we wrote letters on 3 January 2013 and 25 April 2016.Kokabee says he believes he was punished for refusing to help a covert nuclear weapons programme. Another academic, student Hamid Babaei, concerning whom we wrote to you on 27 January 2017, was undertaking a PhD in finance in Belgium but is now serving a six-year prison sentence in Iran. He claims he was arrested for refusing to spy on his colleagues. 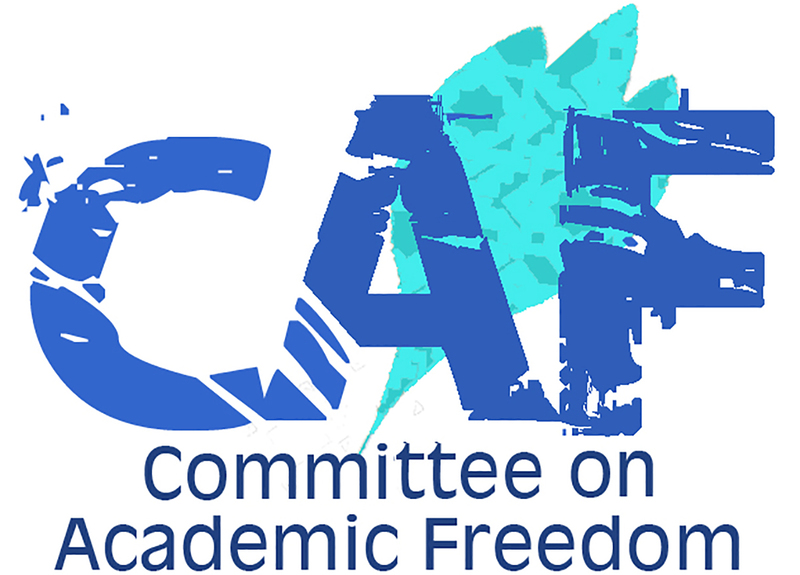 The Committee on Academic Freedom vociferously objects to these violations of internationally recognized rights to academic freedom and due process in Iran. We urge you to reverse Dr. Djalali’s capital sentence, reconsider the charges against him, and release him from detention. In the meantime, we ask you to take all available steps to ensure Dr. Djalali’s well-being while in custody, including ensuring access to medical care and to legal counsel. We urge you to ensure that his case is addressed in a manner consistent with internationally recognized standards of due process, fair trial, and detention in accordance with Iran’s obligations under international law.